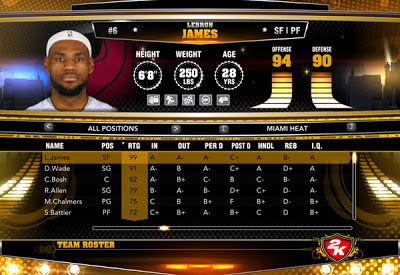 Description: New roster update released earlier today for NBA 2K13 accurate as of Jan. 17, 2013. 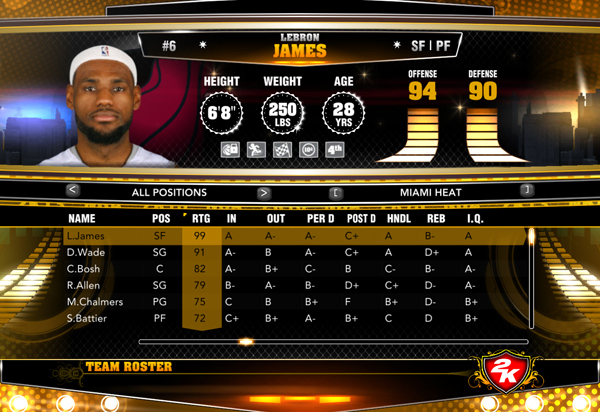 It looks like adjustments on player ratings were the main focus of the latest NBA 2K13 roster update. LeBron James is now a 99 Overall rated player in this latest roster. Dwight Howard and Pau Gasol are now back in the game along with other key players.